Excellent quality and traditional craftsmanship makes our Scholastic Red Sable a value that beginning or professional artists will appreciate. Offering snap and resiliency, they handle watercolors beautifully. Round, Canister of 144 — Contains 144 short-handled Round brushes, including 24 each of sizes 0, 1, 2, 4, 6, and 8. 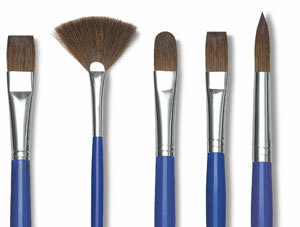 Flat, Canister of 72 — Contains 72 long-handled Flat brushes, including 12 each of sizes 0, 2, 4, 6, 8, and 10. 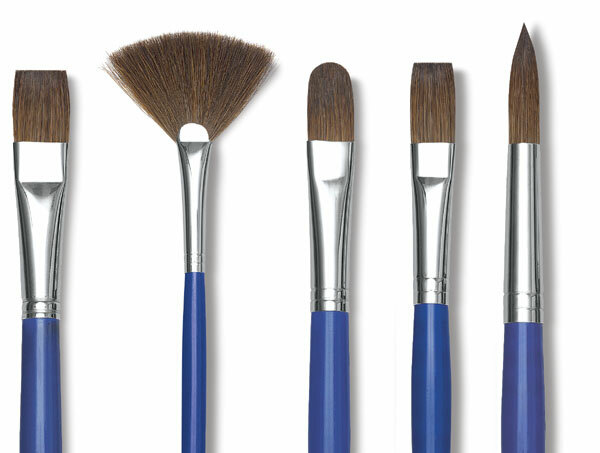 Round, Canister of 72 — Contains 72 long-handled Round brushes, including 12 each of sizes 0, 2, 4, 6, 8, and 10.